So you’ve just started a small business, hoping that this enterprise will grow into something that can secure your success and future in the industry. We’ve always heard that in order to make it big, we have to start out small, and I assure you that the saying is still true in this case. I commend you for starting a business because I know so many people who can’t muster the guts to invest in one, let alone start one. Setting up a business isn’t an easy feat, but to tell you the truth, promoting your brand is even harder. On the bright side, in this day and age, you have technology on your side. For example, today you have the Internet, which allows you to get customers and promote your business in ways that you never thought possible before. Today, that is, you have digital marketing. Digital marketing refers to the process of advertising your products and reinforcing your brand using digital methods. The Internet (some call it “internet marketing” or “online marketing“) figures into this, of course, but digital marketing is definitely not reducible to online marketing. SMS marketing, for instance, also belongs to the digital marketing category. If you’ve read our article on Digital Marketing, you already know about its two subtypes. Just to review, the first one, push marketing, is a type of advertising that’s mainly one-way. Examples would be television commercials and print advertisements. They’re just there to show you information about products, whether you like it or not. They push a brand/product/service to the consumer, who isn’t explicitly asking to learn more about it. Push marketing is generally only wise and feasible if you’re already established enough and rich enough to keep it up, though. Most startups don’t have that luxury. This is where the second subtype, pull marketing, comes in handy: it costs less, it’s very accessible, and it accommodates even newborn brands very well. 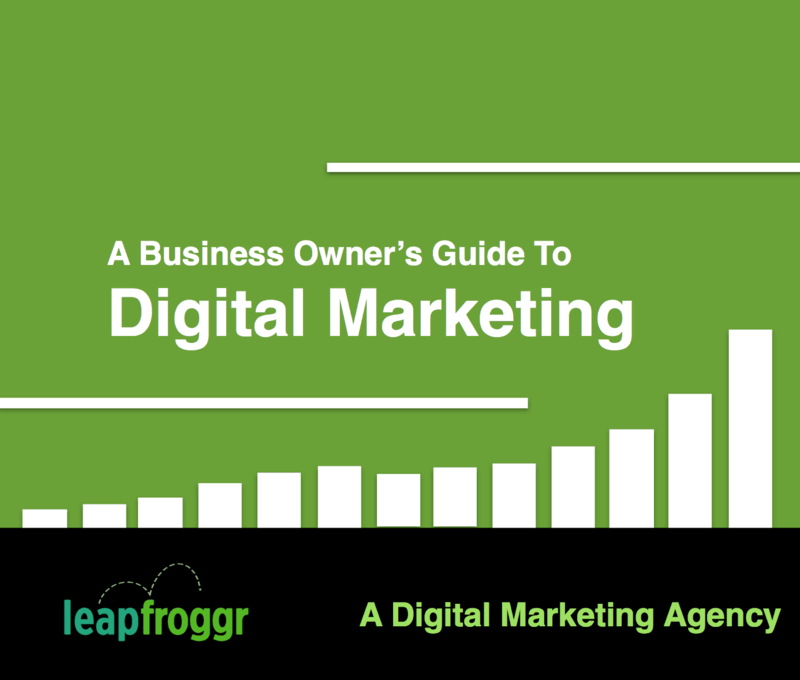 Do You Need to Do Digital Marketing? Now, you might be wondering why you need to use digital marketing strategies if your small business is already doing fine. You might want to wonder about a few other things, though, if you’re really going down that line of thought. What happens when you get more competition? What about when you need a new (or larger) consumer base, one that relies primarily on digital tech to get word of the latest products? You can’t just rely on your loyal customers to keep your company afloat. Since the future is largely digital, doing digital marketing is, in a sense, future-proofing a brand. So digital marketing is in a way inescapable, at least for the vast majority of businesses at the moment. So, as a small business owner, are you interested in learning more and how you can actually do it? I’ve attached an ebook (no strings attached, just download this 50+ page ebook) here that you can peruse to that end. Can’t download it? Check it out on Scribd! After downloading the PDF file, just put it in your Dropbox and open it in your iBooks or whatever app you use for reading. You can also go through the Knowledge Center and our other blog posts to get more ideas and information. Oh, and by the way, if you liked this, please do sign-up to our newsletter. You can look at the top bar of this page or the box that scrolls up on the lower right. This is an amazing primer for people who want to learn about SEO and all the processes involved in it. It may require a bit of reading but all that hardwork will pay off once you have mastered the trade.